We will recopilate here some of the designs that have been made with 3D Polyfelt. You have one? Please send us a picture and we will publish here! 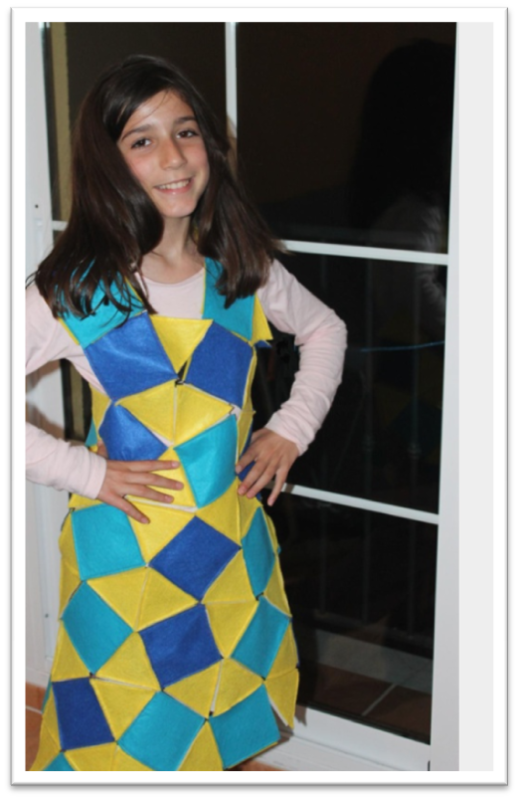 Sara dressing a semiregular tilling with triangles and squares. 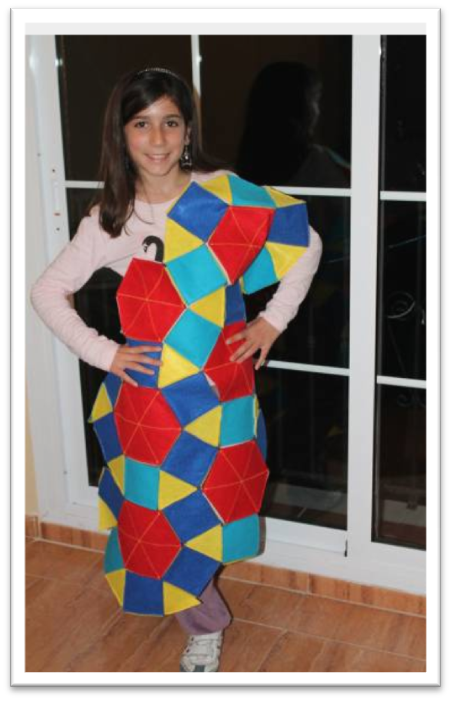 Sara dressing a semiregular tilling with triangle, squares and hexagons. Sara in sofa, viewed here. 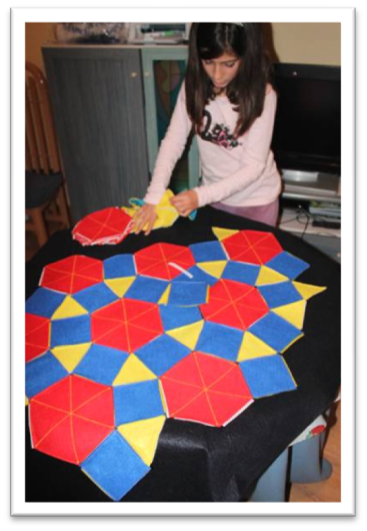 "3D Polyfelt is an educational gift, singular, fascinating ... mathematics, challenge and fun that grips you from the first time". See more opinions of experts. 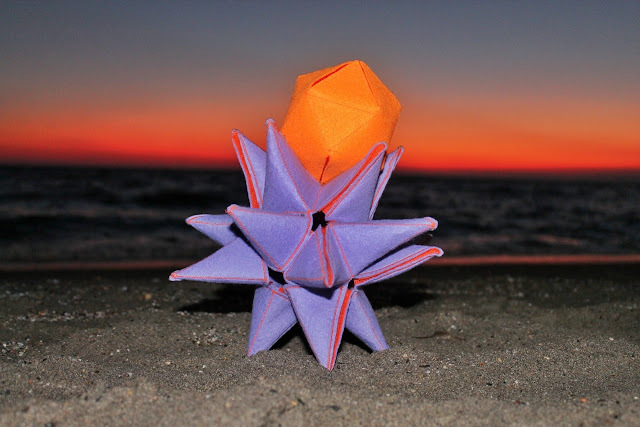 Play with nets of polyhedra, and make funny new figures! Send us your favourite figure, and we will make it for you. Fractals with just 1 piece of felt! 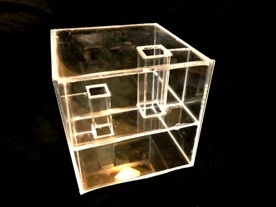 Just need two pieces to make the first level of the Menger sponge. We can make any kind of mosaics, and also make 3d figures with them! 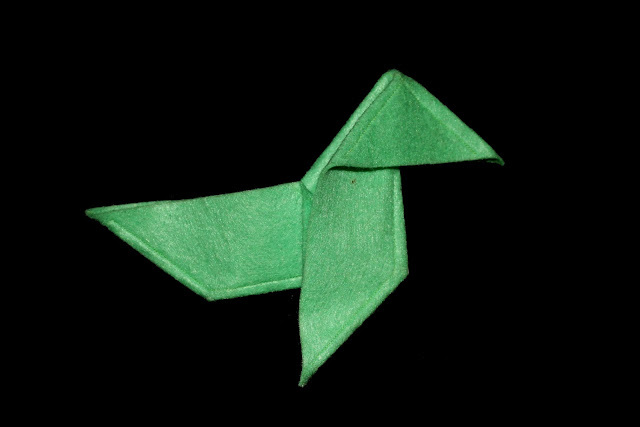 Figures are flexibles and allow to compose lots of possibilities. Make clothes and other designs with the pieces. Children like that very much! © 2012-2019 3D Polyfelt - Polifieltros 3D ®. All rights reserved. Powered by Blogger.